Every business needs to grow. In order to grow, businesses opt different marketing strategies and email marketing is one of the most popular & effective methods to do that. Do you want to send email campaigns to your subscribers, prospectives & customers? 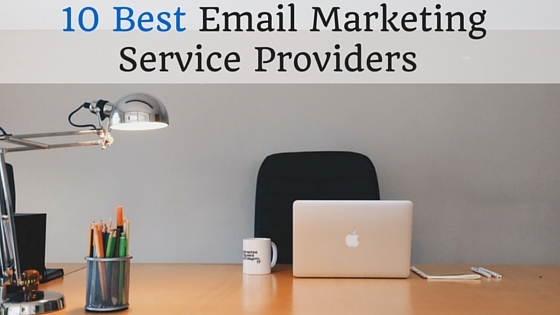 Firstly, you need to choose an email marketing service provider. There are some good email marketing service providers in industry. Here, we’ll discuss about top 10 companies (In ALPHABETIC ORDER) which can help you make a decision when deciding on an email marketing service provider for your business. Create and send beautiful email. Online email marketing solution to engage subscribers, target an audience, send beautiful, responsive emails and track results. Benchmark helps companies all over the world grow with email marketing. 30-Day Free Trial! Email marketing with Campaigner helps you turn your contact lists into customers – and emails into revenue. Target customers with advanced segmentation. A/B split test campaigns to increase results. Put email automation to work for you. Constant contact help to grow your business with email marketing. Get the #1 email marketing tool for sending email newsletters that are easy to create, and hard to resist. Start sending the best email today. 60 days free trial! Email marketing from GetResponse to send email newsletters, campaigns, online surveys and follow-up autoresponders. Are you a small business owner, professional blogger, or marketing agency? GetResponse have lovely tools and features for everyone. 30 days free trial! Combine email, social, mobile marketing campaigns for more integrated marketing communications. Use GraphicMail to reach your customers, grow your business and extend your reach with our advanced email marketing tools and services. Free trial available! Email marketing conversation starts here. Create, send, and track your email newsletters with iContact award winning Email Marketing Software. With a broad list of features and reports to help you increase the effectiveness of your email marketing campaigns. MailChimp is the best way to design, send, and share email newsletters. MailChimp helps you email the right people at the right time. Send automated emails based on customer behavior and preferences. You can create fantastic email campaigns quickly. From small companies to Global Enterprises – thousands of companies rely on the Pinpointe platform to create, send and analyze their email campaigns. 15-Day Free Trial! Email is the easiest & affordable way to connect with your audiences. Sarv is a leading email marketing service provider in India which offers world class email marketing solutions. Its powerful & easy to use software helps to boost your business. Sarv offers the easiest way to create & send email campaigns or newsletters. Easy to manage and feature rich email marketing platform with cloud solutions. Create, send, and track emails and social posts that look great on every device. VerticalResponse will turbocharge your email marketing with powerful features, world-class infrastructure, volume pricing, and award-winning resources and support! Mailigen is one of the leading web-based integrated marketing software providers. Send beautiful Email Newsletters, track results and manage your contacts. Integrate Social and Mobile in your email marketing. 30-Day Free Trial! Mailigen is missing a few standard features, but it still delivers a simple and effective dashboard that helps you to create professional advertising campaigns. The dynamic content feature allows you to send out targeted marketing campaigns. SARV is one of the most popular growing email marketing services in the world. It is also the easiest to use and beginner friendly email marketing service. We offer a wide range of tools for small and medium-sized businesses to manage their email marketing. Founded, by the desire to maximize and create beautiful & immersive digital experiences for brands and businesses of all sizes. We build results-oriented digital strategies and continually refine your campaigns for optimal outcome. From full-scale digital marketing and advertising strategy and planning right through to the tactical execution and reporting, we’ve got our eye on your ROI. Support: 24*7 – Live chat, and email support.